Fireproofing can be a matter of life or death, and people who own or manage commercial or residential structures must bear this in mind. Establishing measures to prevent fire from consuming a building is essential to many people’s safety. This is why fire prevention is built into U.S. building regulations. 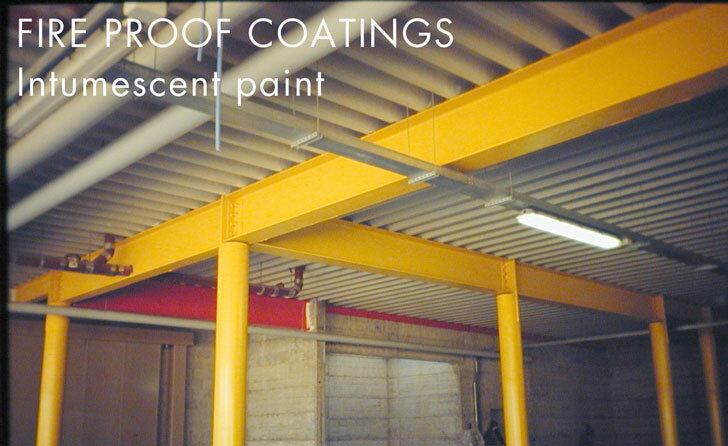 Intumescent coatings can help residents or workers flee a building securely in case of fire. They cause fire to spread more slowly than it would otherwise, and they aid firefighters in their effort to put it out. They also help keep firefighters safe. When fire occurs, facilities with such coatings remain more structurally intact than their unprotected counterparts. This can save owners a considerable amount of money. Fire prevention means implementing two kinds of measures: active and passive. The former confront the fire directly; sprinklers, alarms, and extinguishing devices are the best-known examples. Detection, communication, and suppression are the primary tasks of active measures. In contrast, passive measures limit a fire’s expansion. Fireproof coatings fall under the category, as they minimize the area a fire occupies and, ideally, keep the facility from falling apart. Fireproof coatings are at the heart of most passive fire prevention strategies. When fire reaches an intumescent coating, the coating expands and chars. Charred material does not conduct heat well, which generally keeps the fire from continuing on its destructive path. Most intumescents include hydrates, sodium silicates, and graphite. As most beginning chemistry students can explain, hydrates release water when heated up. This process, which is endothermic (heat absorbing), not only cools down the area but also creates the aforementioned char. When no fire is present, intumescents look more or less like regular paints. In an inferno, however, they readily do their job: protecting the building. Steel in particular is important to fireproof with intumescent coatings. Once it reaches a certain temperature, steel endures irreversible damage. Facility owners or managers hire contractors to keep buildings and people safe. Professional contractors who know how to work with intumescents can help ensure that a structure is truly protected from fire. No coating is effective if improperly applied. When they are implemented in the right way, on the other hand, intumescents can preserve countless lives, not to mention a building’s structural integrity. The key is tailoring a facility’s fireproofing to its specific needs. As long as these are met (along with local and federal building standards), disaster can be averted when fire strikes.